With 3,795 miles between them and more than a three-hour time difference, you would think that India and Finland have very little in common. 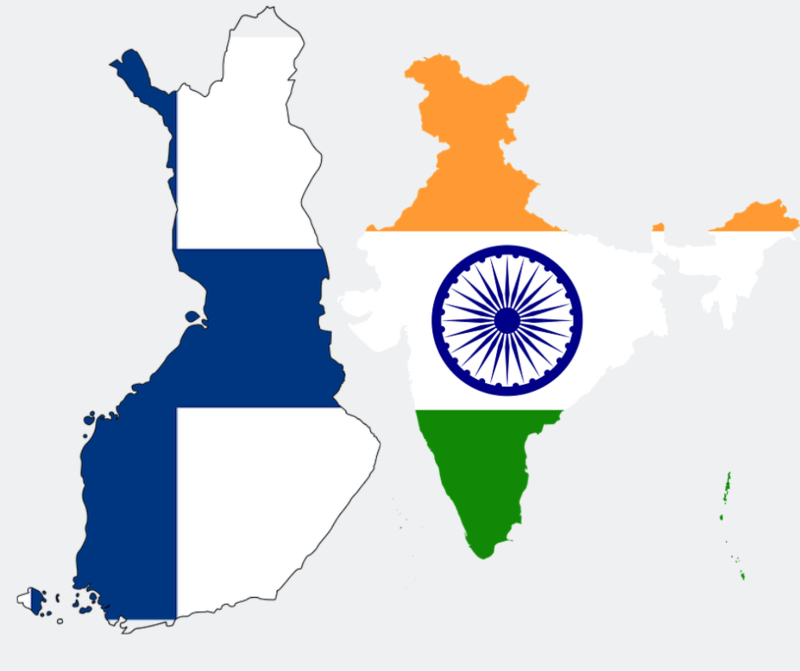 In fact, India and Finland have enjoyed warm bilateral relations for years. Trade relations between these two countries is currently valued at more than $1 billion. India is Finland’s 5th largest trading partner in Asia while Finland is India’s 10th within the EU. Some of the items exchanged between them are electronic goods, machinery and equipment, ready-made garments, pharmaceuticals, iron and other minerals. Many Finnish companies have also heavily invested in India. As of 2017, these investments are estimated to be at US$ 419 million. These companies include large manufacturers such as Nokia, Metso, Ahlstrom and Kone. Several Indian IT companies have also set up operations in Finland. Indian culture and art is also warmly received by the Finnish people. Indian dancing schools have flourished in Finland as well as training centers for Yoga. As a matter of fact, Yoga and Meditation Groups in the country have affiliated with Indian schools to better promote these disciplines. Almost 4,000 people also attended the India Day in Helsinki last 2017. With these cultural and trade connections, it’s not surprising that more than 7,000 Indians now call Finland their home. Most of them have admitted to making regular calls back home in India. Though there are numerous free calling apps on the market today, calls to landline and mobile numbers remain expensive. It also won’t work if you or the person you’re calling has no internet connection. Mobile calls from Finland to India also costs an average of €0.6 per minute. This means that a 30-minute call can rack up to €18 or more than US$20. If you are in Finland and wants to call India, you can do it at the cheapest rate with MyLine. We offer international calls to India from Finland for as low as $0.011 per minute or about €0.009. You can also use our services on any device – from your vintage home phone to your iPhone X. The best part is you won’t have to pay any additional charges apart from the minutes you consumed. Plus, it doesn’t need internet to call so you don’t have to spend more on mobile data or wifi charges. So save up those hard-earned euros and switch to MyLine now! See international calling rates here.